Jasmine guitars are known for their durability and high level of craftsmanship. The Jasmine S34C is no different from what its maker KMC Music usually brings to the table. 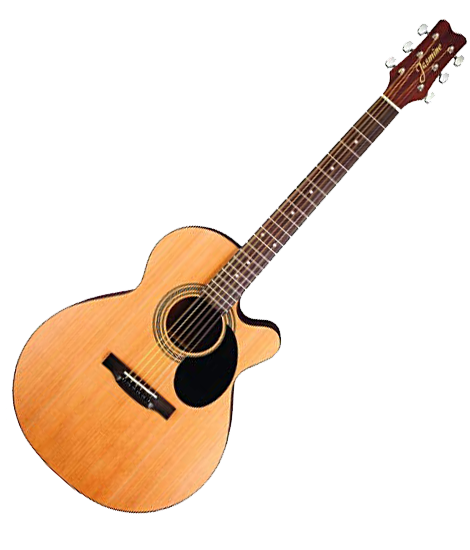 In fact, it is one of the best jumbo acoustic guitars under $130, if not the best. Judging by its looks, the Jasmine S34C looks like a dull, bare-bones generic acoustic guitar that you often see pretty much anywhere. But you better not judge this guitar by its cover. While it is inexpensive, the guitar, most especially the build quality, will take you by surprise. Making the Jasmine S34C a viable option in this price range is its cutaway for easy access to upper frets. The cutaway in itself is already a great feature if you are looking for a full range of tones. The rosewood bridge is fitted with a synthetic compensated saddle. At the opposite end is the peghead with a standard set of die-cast tuners. Standard as it is, you might have to adjust the tuning every once in a while. It’s important to educate yourself on how to tune an acoustic guitar so you won’t have to visit a shop every single time you need to adjust yours. Jumbo-sized acoustic guitars with a cutaway normally have steep price tags. Although the Jasmine S34C costs way below the industry standard, it’s not without a drawback. In fact, it comes with a couple of tradeoffs that could make or break a pro buyer’s decision. The biggest concern, however, is the selection of tonewood. It has a laminated spruce top and Sapele rear and sides. But it’s not really that bad at all as Jasmine made the combination to suit the guitar really well. Talking about inexpensive jumbo-sized acoustic guitars, the hardware is something that you might think of as the least impressive part. Lo and behold, it’s not. The guitar is durable as it is. Finally, the Jasmine S34C acoustic size shows off a decent sound, delivering a roaring projection with a range of volume to work with. The low-end response is great as you would expect from a jumbo guitar. On the flipside, the guitar has trebles that are well-defined and mid-range that is lacking. But those should not be a deal-breaker. The Verdict: Should You Buy Jasmine S34C? 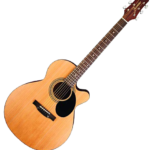 Looking for a great acoustic guitar that fits you well can be tough. Looking for a great acoustic guitar that does not only fit you well but is reasonably priced as well can be tougher. But with the Jasmine S34C, it’s a bar of gold that you do not have to mine. If you are looking for a jumbo acoustic guitar that gets you a cutaway, a decent sound, and a great build quality, there’s no doubt that the Jasmine S34C ticks all the boxes. 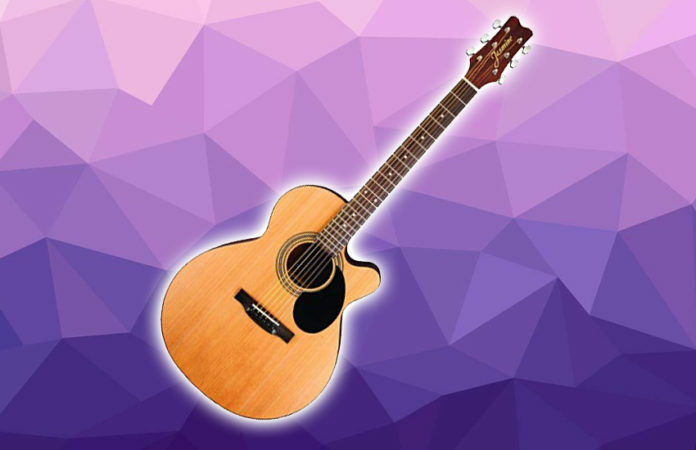 Overall, the Jasmine S34C acoustic guitar gives you a bang for your buck. And it has a lot more to offer–way more than its price tag.